St. Luke’s will host its second annual Fall CommUNITY Festival this year on *Saturday, October 13, from 12 PM – 3 PM. 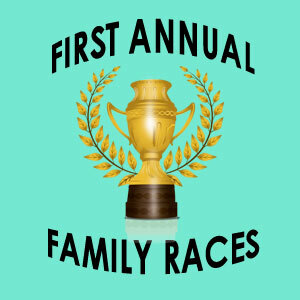 New this year will be our first-ever Family Races, a relay-style race where family teams of two (2) will have an opportunity to compete for a chance to win a prize. Each family may enter one (1) team, and teams will compete according to the age of the youngest member. Races will be held by age-group which are as follows: 5-7, 8-11, 12-15, and adult. Entrants aged 16 or older are invited to compete in the adult category, or may accompany a younger team member in the youngest member’s age bracket. *Please visit our website, Facebook or call 636-386-5634 for any weather-related updates if necessary. To enter the race, please register online, or call Julie Nguyen at 636-386-5634.